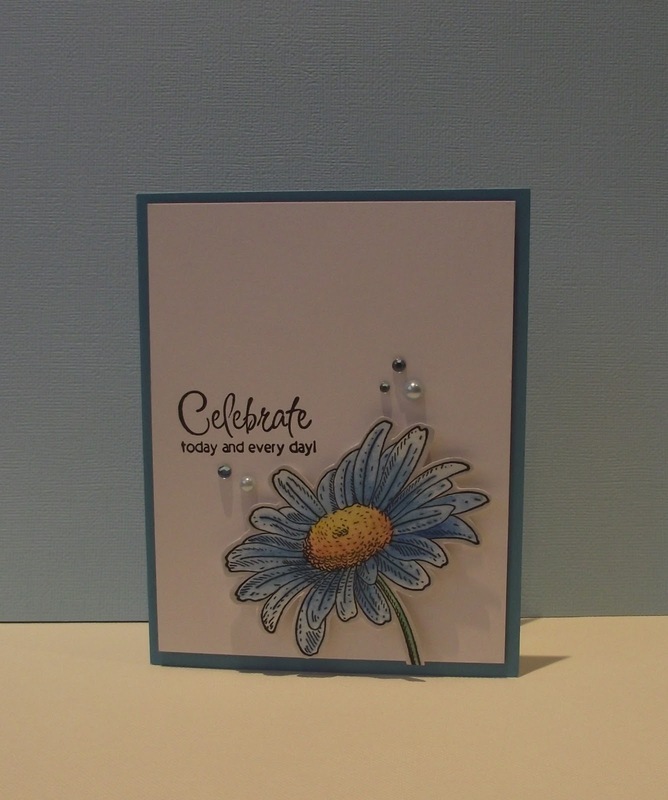 This is the last one of the day! Can you tell that I was watching the provincial Liberal leadership convention this afternoon! Lol. 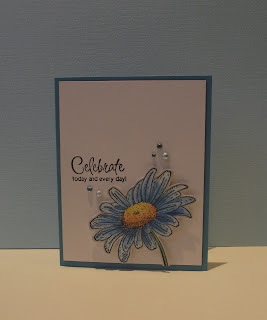 I so fell in love with this daisy Penny Black stamp. Felt like going with blue, my candidate didn't win!